Let’s face it, we all get 24 hours each day to get our stuff done. 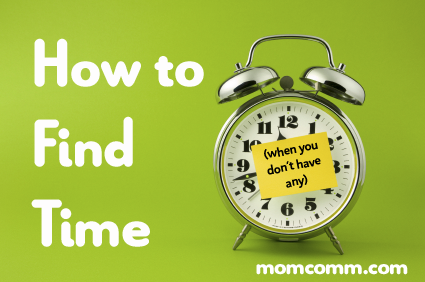 We talk about “finding” time to do the things that are important to us but we really can’t “find” time or “buy” extra when we go to the grocery store 🙂 . Leonardo DaVinci, Thomas Edison, Oprah Winfrey, Steve Jobs and Betty White all have/had the same amount of time per day that you and I have. They all have made huge contributions to society. They created new ideas, industries, products and works of art. I just want to get my post written and up in a timely fashion and keep up with the house, do my job well, go on vacation, eat health meals, exercise daily, read a good book……and on and on! So what are the keys to successful time management? There’s no way you can get everything done that is on your list. I seem to add two or three items for every one that I cross off! I find that it is a daily “triage” of looking at everything that needs to be accomplished. Decide at what has to be done right now, today and this week. Then schedule them out as needed. And some of those items on the list will become “OBE” – Overcome By Events. And that means that you no longer need to do them :-). Yeah! We all need to remember that the most important things in our lives are not actually things but people. The relationships we have with our family, friends and co-workers are vital to our overall well being and happiness. So instead of being so focused on getting things crossed off our to do lists we want to include some fun activities as well. I’m finding that reviewing my seasonal bucket lists has helped me be intentional with including those fun items into my schedule. And that includes valuable time with my family and friends. The other part to building relationships is that perhaps you are not the best person to do a particular task. Someone in you family may enjoy doing a certain task and because they enjoy it and are better at it it takes them less time than it would time you! Look for those opportunities to delegate and outsource. Maybe it’s that huge pile of clean laundry sitting on the floor in the living room that needs to be tackled. How about you and the kids work on it together and while you are “working” you have a great opportunity to spend time talking with them. And a little bribery of ice cream after the task is done goes a long way too! And the conversation can keep going :-). My mantra is: “We need a Plan. Why? So we can Change the plan.” I have to have an idea of what needs to be done, when, where, who all involved and how much is it going to cost. But you rarely know everything up front. And then Life likes to laugh at our plans and throws the preverbal monkey wrench into the plan. BUT now all I have to do is make some quick revisions and keep going with my day. I have each month written out in a 1-31 format (I use Evernote so I have the file on all my devices) and that’s my to do list. At the end of the day those items that have been completed are crossed off. Those items that did not get done get moved to another day (part of the triage process). An organized home, car, and office makes life much easier. Now you don’t have to be the one to do the organizing. It may not be your strength. If you have a spouse or child who excels at this – LET THEM! You don’t have to do EVERYTHING! Just give them guidelines on how you want things. When organizing you always want the end user to have input. And be consistent. If you always put your keys, eyeglasses, permission slips, etc in the same place then you will be able to find them when you are rushing out the door in morning. Perhaps this is the most important. I will usually schedule one entire weekend that has NOTHING on it two or three times a year. Sometimes it just happens. Sometimes I have to say no to something. But I know that I need that time for me. If I want to sit and veg on the couch watching Netflix all weekend I can. Or if things are piling up because of the unexpected I have that open weekend to get caught up. And if it takes several weeks to get unburied that’s ok too. Some of that stuff is going to end up in the OBE category any way! Time can be a slippery little fellow who mocks us as he vanishes right before our eyes. But with a few guidelines, some planning and a smile you can the next Time Winning Warrior! What other suggestions/tips do you use for your personal, family and work schedules? This entry was posted in Goals, Kim, Personal development, Time management. Bookmark the permalink.